Over a period of three weeks Konrad von Abel is teaching and communicating musical phenomenology developed by Sergiu Celibidache. Within these three weeks you will find classes, lessons, concerts and associated rehearsals. It takes place at the hall and other premises of the Philharmonic Orchestra”Oltenia” in Craiova in Romania. We warmly recommend the participation of the orchestra rehearsals. You are asked to familiarize yourselves with the scores of the pieces as well. instrumental ensembles or the choir – depending on your needs. It goes without saying that we recommend to come for the whole period. 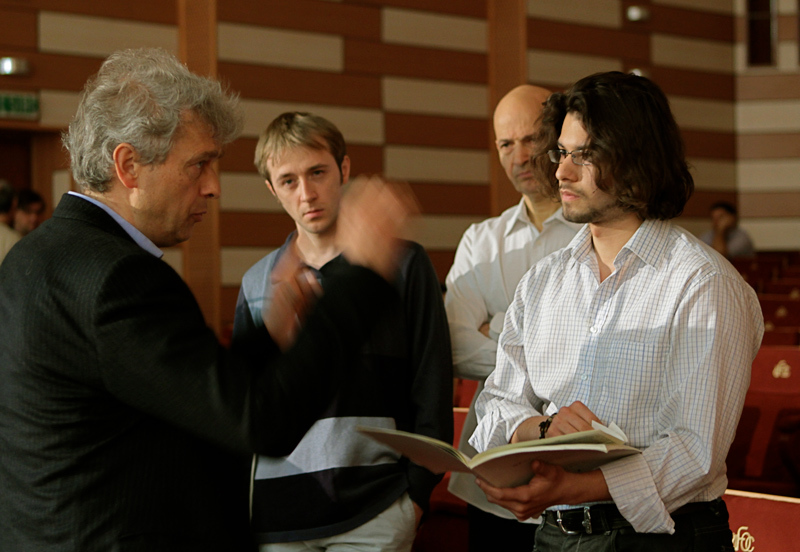 Of course it is also possible to participate only at the master class, come for a weekend or just for a concert.